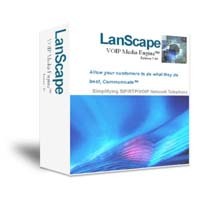 All LanScape VOIP products including the LanScape VOIP Media Engine™ have been designed from the "ground up" to support all versions of Microsoft Windows® 2000/XP up to and including the latest versions of Windows 8. Developing your own PSTN gateway solution may be easier and less expensive than you think. If you understand the concepts of streaming media data to and from telephony hardware in addition to understanding the full capabilities of the LanScape VOIP Media Engine™, you are well on your way to a solution. LanScape's telephony API allows full access to any local or remote telephony data stream - real time. Combine our media streaming capabilities with Telecom Products from Dialogic and you have the makings for a cost effective PSTN gateway solution. LanScape's Voice over IP products have been extensively tested to ensure the widest possible interoperability performance. When you deploy your Voice over IP solution that utilizes LanScape telephony technology, you will have instant connectivity to other VOIP equipment vendors such as Cisco, Xten/CounterPath, Polycom, GrandStream, Snom, Avaya, Swissvoice, and many others. We have also tested interoperability with other open source VOIP offerings such as Asterisk PBX and IPTEL's SIP Express Router. The source code of our VOIP SDK is now available for purchase! Please use this web page link to email us and we will help you get the purchase process started. Speed your SIP and RTP Windows application development using our VOIP Media Engine VOIP SDK! Our VOIP SDK supports SIP and RTP protocols using native C/C++ or any .NET language. It's not just a VOIP SDK - it's a complete drop-in VOIP telephony solution. It really is Awesome! Deploy the LanScape Centrex Proxy Server (a full featured SIP Proxy) in conjunction with one or more LanScape VOIP Media Proxy servers (RTP Media Proxy), and you have a full featured, fully scalable VOIP domain solution that will traverse any NAT network environment. Our low cost solution supports both voice and video. For additional information, see the main LanScape product page or the VOIP server software Press Release. The service manager software will allow you to run many applications, batch files or programs as native windows services. You can simply develop your code as a normal console or GUI app and run them as a service. Not only can you run your programs, the service manager will allow for complete monitoring of your running processes, restart them if there is a fault and ensure that your code running as a windows service is available 100% of the time. Full fault monitoring and activity logging is supported. Multiple applications can be configured with the ability to enable or disable specific applications. We receive many technical pre-sales related questions regarding our VOIP SDK and our other SIP based products. Most questions have a common theme. Obtain pre-sales support by creating your own "user account" in our customer support forum. There you can post your VOIP questions. For more info, see "How to create a support forum user account". To find out more about LanScape and our products, view our Product pages and get an overview of our current offerings. Software Development Projects - We want to help! When you require additional engineering or software development capabilities, contact us to discuss your specific requirements. We have the know-how and ability to develop a vast array of software based systems not related to Voice over IP. From embedded devices to desktop application and web interface software. With over 25 years in the software technology arena, we are here for you when needed. LanScape is a small group. This allows us to give you the attention you deserve and work within your budget. We are open, honest and work to the highest of ethical standards. Please allow us to show you. We would love to hear from you. Please contact RJ Ziegler using this web page link. VOIP SDK Sale: $899 for unlimited use license. We are offering our Microsoft Windows VOIP SDK to customers for a truely great price. 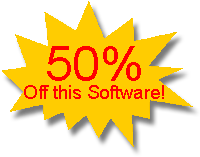 This "one time" license price gets you an unlimited version of the software for use in any of your VOIP projects. Contact us using this email web page and we will help you get the ball rolling! Your purchase will include basic VOIP SDK support for two weeks. "LanScape's VOIP Media Engine™ Release 6 is hotter than ever! 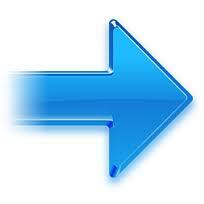 It incorporates cool new features and is extremely easy to use! Enhanced Customer Support is now available! LanScape is offering paid enhanced customer support! With enhanced support, you will gain many additional benefits over our limited free web based support. For complete details, go to the "Contact us" page and request further information! LanScape VOICE and VIDEO proxying solutions are now available for your VOIP domain! You owe it to yourself to check out LanScape's SIP and RTP proxying server products. Need to get up and running with your VOIP development effort quickly? The newest release of the LanScape VOIP Media Engine™ comes bundled with a host of C/C++ and managed code (C# and Vb) example software applications. Get off the ground quickly using any one of the example software reference designs. Chose among: Multi-line Conference Server, Dual Line IVR Server, Telephony Echo Server, Dual line multi-lined soft phone, or the single line soft phone. For further information, check out the LanScape VOIP Media Engine™ technology located on our "Products" page.